Sleek Makeup Holiday 2017 Gift Set - Pout 4 Perfection ! Like it or not, Christmas is just a week away and if you are still looking to get some stocking stuffers or maybe a treat for yourself, the Sleek Pout 4 Perfection set is a perfect gift. 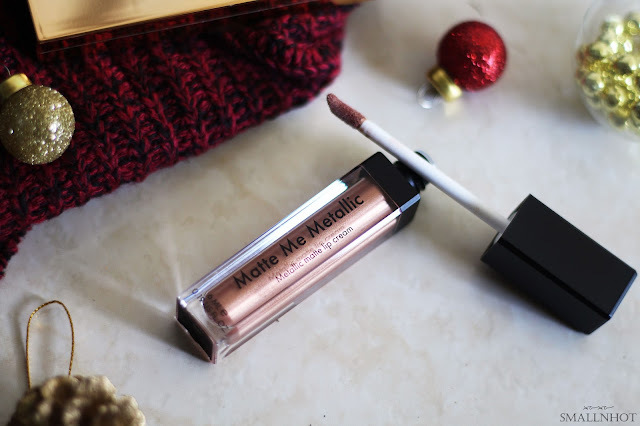 The Sleek Pout & Perfection set features a Solstice Highlighting Palette and a Major Matte Metallic Lip Cream in Roman Copper, that aims to create the perfect looking pout with rocking glow in this festive season. 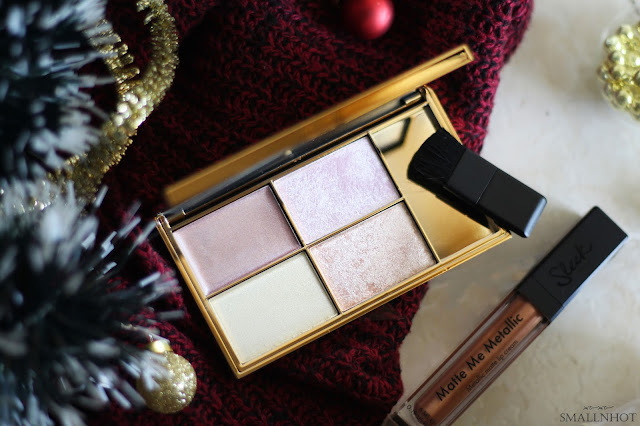 Solstice Highlighting Palette includes two baked powders and two luxurious cream formula that suits all skin tones. The palette instantly enhances the complexion with a golden glow, the intense metallic finishes create a gorgeous luminous sheen on the skin. Nothing screams 'glam' and 'party' more than bold metallic lips. So complete the look with the Matte Me Metallic Lip Cream in Roman Copper, for that glamorous and foil-like finish.